At times your HP laser printer may not perform the way it used to be. It’s quite daunting when you’re in the middle of an important assignment. If you’re facing some issues lately, you can check out this blog to get rid of this situation easily. If the page turns fuzzy as the toner smears or the toner does not stick to page, chances that the fuser is defective and it needs to be replaced with the new one. Then comes to the faulty cartridge. Change it and see if the ink still smudges. Clean the printer for the toner may spill out into the printer. Paper jam is one of the common issues. And it can cause for many good reasons. 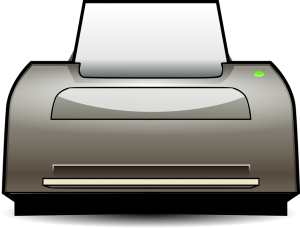 You may be using a wrong paper type, the printer is dirty or the rollers that take the paper down to its pathway have worn out. First, use clean and the right kind of paper. Consider periodical cleaning of your printer and change the rollers. Roller changing could be a difficult job. Hence, relying on a professional printer repair service in Vancouver is the best bet. When your printer shows 50.4 errors this means there is an issue in the power supply. If your printer is connected to UPS or power strip, make sure you unplug it before you commence running the system. Trouble printing on envelopes causes when you choose 20lb paper in weight and thickness. The adhesive on the envelope should withstand the heat that the fuser produce while printing on the page. If you don’t put it correctly it may come out of the system sealed. If the printing doesn’t take the right paper tray then you need to look at two things. One is the printing configuration on your PC then to the printer itself. Correct the tray selection from Printer Properties. On printer, check if the papers are correctly aligned in the control panel what is basically required in the paper tray. Ghosting is a condition when the content or image prints properly but a lighter copy of it also prints somewhere on the paper. This happens due to fault in power outlet. First unplug your system and use the power outlet by plugging in other printers. Now, check if same things happen. Ghosting is also a result of worn out printer consumable parts. Sometimes printers can collect all the papers from manual feed instead of one sheet. It happens when the pad that separates the paper is on the edge of its life. Replace it with the new one or better you look for a professional printer repair service in Vancouver. So, now as you know the common issues of HP laser jet printer, you can identify any prospective issues easily. HP is no doubt a leading brand. But just like any other IT gadgets, it is also susceptible to damages if not maintained properly. But, regardless of the issues incurred, you can always expect to get it fixed if you bring it to the professional technicians on time.